USHENKO, Y. O. , TOMKA, Y. Y. , DUBOLAZOV, O. V. , BALANETSKA, V. O. , KARACHEVTSEV, A. V. , ANGELSKY, A.-P. The possibilities of the local wavelet-analysis of polarization-inhomogeneous laser image of human blood plasma were considered. The set of statistics, correlation and fractal parameters of the distributions of wavelet-coefficients that are characterize different scales of the polarization maps of polycrystalline networks of amino acids of blood plasma were defined. The criteria for the differentiation of the transformation of birefringence optical-anisotropic structures of blood plasma at different scales of their geometric dimensions were determined. J. F. de Boer and T. E. Milner, "Review of polarization sensitive optical coherence tomography and Stokes vector determination," J. Biomed. Opt., Vol. 7, pp. 359-371, 2002. J. F. de Boer, T. E. Milner and J. S. Nelson, "Trends in Optics and Photonics (TOPS): Advances in Optical Imaging and Photon Migration," Washington: OSA, 1998. M. J. Everett, K. Shoenenberger, B. W. Colston and L. B. da Silva, "Birefringence characterization of biological tissue by use of optical coherence tomography," Opt. Lett., Vol. 23, pp. 228-230, 1998. J. Shuliang, Yu. Wurong, G. Stoica and V. Lihong, "Optical fiber based Mueller optical coherence tomography," Opt. Lett., Vol. 28, pp. 1206-1208, 2003. A. G. Ushenko and Vasilii P. Pishak, "Laser Polarimetry of Biological Tissue: Principles and Applications", in Handbook of Coherent-Domain Optical Methods: Biomedical Diagnostics, Environmental and Material Science, vol. I, Valery V. Tuchin, Ed. Boston: Kluwer Academic Publishers, 2004, pp. 93-138. O. V. Angelsky, A. G. Ushenko, Yu. A. Ushenko, V. P. Pishak, "Statistical and Fractal Structure of Biological Tissue Mueller Matrix Images", in Optical Correlation Techniques and Applications, Oleg V. Angelsky, Ed. Washington: Society of Photo-Optical Instrumentation Engineers , 2007, pp. 213-266. O. V. Angelsky, A.G. Ushenko, Yu.A. Ushenko, V.P. Pishak, and A.P. Peresunko, "Statistical, Correlation, and Topological Approaches in Diagnostics of the Structure and Physiological State of Birefringent Biological Tissues", in Handbook of Photonics for Biomedical Science, Valery V. Tuchin, Ed. USA: CRC Press, 2010, pp. 21-67. A. G. Ushenko, "Polarization structure of laser scattering fields," Optical Engineering, vol. 34(4), pp. 1088-1093, November 1995. A. G. Ushenko, "Laser diagnostics of biofractals," Quantum Electronics, vol. 29(12), pp. 1078-1084, December 1999. O. V. Angel'skii, A. G. Ushenko, A. D. Arkhelyuk, S. B. Ermolenko, D. N. Burkovets, "Structure of matrices for the transformation of laser radiation by biofractals," Quantum Electronics, vol. 29(12), pp. 1074-1077, December 1999. O. V. Angel'skii, A. G. Ushenko A. D. Arheluk, S. B. Ermolenko, D. N. Burkovets, "Scattering of Laser Radiation by Multifractal Biological Structures," Optics and Spectroscopy, vol. 88(3), pp. 444-448, March 2000. A. G. Ushenko, "Polarization Structure of Biospeckles and the Depolarization of Laser Radiation," Optics and Spectroscopy, vol. 89(4), pp. 597-601, October 2000. A. G. Ushenko, "Stokes-correlometry of biotissues," Laser Physics, vol. 10(5), pp.1286-1292, May 2000. A. G. Ushenko, "The Vector Structure of Laser Biospeckle Fields and Polarization Diagnostics of Collagen Skin Structures," Laser Physics, vol. 10(5), pp. 1143-1149, May 2000. A. G. Ushenko, "Laser polarimetry of polarization-phase statistical moments of the object field of optically anisotropic scattering layers," Optics and Spectroscopy, vol. 91(2), pp. 313-316, February 2001. A. G. Ushenko, "Polarization contrast enhancement of images of biological tissues under the conditions of multiple scattering," Optics and Spectroscopy, vol. 91(6), pp. 937-940, August 2001. A. G. Ushenko, "Laser probing of biological tissues and the polarization selection of their images," Optics and Spectroscopy, vol. 91(6), pp.932-936, August 2001. A. G. Ushenko, "Correlation processing and wavelet analysis of polarization images of biological tissues," Optics and Spectroscopy, vol. 91(5), pp.773-778, June 2002. A. G. Ushenko, "Polarization correlometry of angular structure in the microrelief pattern or rough surfaces," Optics and spectroscopy, vol. 92(2), pp. 227-229, June 2002. O. V. Angelsky, A. G. Ushenko, Ye. G. Ushenko, "2-D Stokes Polarimetry of Biospeckle Tissues Images in Pre-Clinic Diagnostics of Their Pre-Cancer States," Journal of Holography and Speckle, vol. 2(1), pp. 26-33, April 2005. O. V. Angelsky, A. G. Ushenko, and Yevheniya G. Ushenko, "Complex degree of mutual polarization of biological tissue coherent images for the diagnostics of their physiological state," J. Biomed. Opt., vol. 10(6), Article ID 060502, November 2005. O. V. Angelsky, A. G. Ushenko,and Ye. G. Ushenko, "Investigation of the correlation structure of biological tissue polarization images during the diagnostics of their oncological changes," Physics in Medicine and Biology, vol. 50(20), pp. 4811-4822, September 2005. O. V. Angelsky, A. G. Ushenko, Yevheniya G. Ushenko, Yuriy Y. Tomka, "Polarization singularities of biological tissues images," J. Biomed. Opt., vol. 11(5), Article ID 054030, September-October 2006. O. G. Ushenko, S.G. Guminetsky, A. V. Motrich, "Optical properties of urine, blood plasma and pulmonary condensate of the patients with pulmovnary form of tuberculosis," Photoelectronics, vol.16, pp. 133-139, June 2007. S. H. Guminetskiy, O.G. Ushenko, I. P. Polyanskiy, A. V. Motrych, F. V. Grynchuk, "The optical method for investigation of the peritonitis progressing process," Proceedings of the SPIE, vol. 7008, Article ID 700827, April 2008. A. Ushenko, S. Yermolenko, A. Prydij, S. Guminetsky, I. Gruia, O. Toma, Konstantin Vladychenko, "Statistical and fractal approaches in laser polarimetry diagnostics of the cancer prostate tissues," Proceedings of the SPIE, vol. 7008, Article ID 70082C, April 2008. A. G. Ushenko, A. I. Fediv, Yu. F. Marchuk, "Correlation and fractal structure of Jones matrices of human bile secret," Proceedings of the SPIE, vol. 7368, Article ID 73681Q, July 2009. A. G. Ushenko, Yu. Ya. Tomka, V. I. Istratiy, "Polarization selection of two-dimensional phase-inhomogeneous birefringence images of biotissues," Proceedings of the SPIE, vol. 7388, Article ID 73881L, December 2009. A. G. Ushenko, A. I. Fediv, Yu. F. Marchuk, "Singular structure of polarization images of bile secret in diagnostics of human physiological state," Proceedings of the SPIE, vol. 7368, Article ID 73681S, July 2009. S. B. Yermolenko, A. G. Ushenko, P. Ivashko, "Spectropolarimetry of cancer change of biotissues," Proceedings of the SPIE, vol. 7388, Article ID 73881D, December 2009. A .G. Ushenko, I. 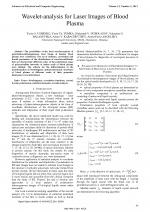 Z. Misevich, V. Istratiy, I. Bachyns'ka, A. P. Peresunko, Omar Kamal Numan, and T. G. Moiysuk, "Evolution of Statistic Moments of 2D-Distributions of Biological Liquid Crystal Net Mueller Matrix Elements in the Process of Their Birefringent Structure Changes," Advances in Optical Technologies, vol. 2010, Article ID 423145, March 2010. O. V. Dubolazov, A. G. Ushenko, V. T. Bachynsky, A. P. Peresunko, and O. Ya. Vanchulyak, "On the Feasibilities of Using the Wavelet Analysis of Mueller Matrix Images of Biological Crystals," Advances in Optical Technologies, vol. 2010, Article ID 162832, March 2010. Yu. A. Ushenko, A. P. Peresunko, and Bozan Adel Baku, "A New Method of Mueller-Matrix Diagnostics and Differentiation of Early Oncological Changes of the Skin Derma," Advances in Optical Technologies, vol. 2010, Article ID 952423, March 2010. O. V. Angelsky and Yuriy A. Ushenko, "The Degree of Mutual Anisotropy of Biological Liquid Crystals Net during the Diagnostics of Human Tissues Birefringence," Advances in Optical Technologies, vol. 2010, Article ID 321275, March 2010. O. V. Angelsky, Yuriy A. Ushenko, Alexander V. Dubolazov, and Olha Yu. Telenha, "The Interconnection between the Coordinate Distribution of Mueller-Matrixes Images Characteristic Values of Biological Liquid Crystals Net and the Pathological Changes of Human Tissues," Advances in Optical Technologies, vol. 2010, Article ID 130659, March 2010. I. Z. Misevitch, Yu. O. Ushenko, O. G. Pridiy, A.V.Motrich, Yu.Ya. Tomka, O.V. Dubolazov, "Investigation of singularities inherent to Mueller matrix images of biological crystals: diagnostics of their birefringent structure," Semicond. Physics, Quantum Electronics&Optoelectronics, 12(4), 379-390, 2009. Yu. O. Ushenko, Yu. Ya. Tomka, O. G. Pridiy, A.V.Motrich, O.V. Dubolazov, I.Z. Misevitch, V.V. Istratiy, "Wavelet analysis for Mueller matrix images of biological crystal networks," Semicond. Physics, Quantum Electronics&Optoelectronics, 12(4), 391-398, 2009. Yu. O. Ushenko, V. V. Istratiy, V. O. Balanets'ka, D. O. Kvasniyk, V. T. Bachinsky, O. I. Olar, "Phase maps for networks of polycrystalline human biological liquids: Statistical and fractal analyses," Semicond. Physics, Quantum Electronics&Optoelectronics, vol. 13(3), 240-247, 2010. Yu. O. Ushenko, I. Z. Misevich, A. P. Angelsky, V. T. Bachinsky, O. Yu. Telen'ga, O. I. Olar, "Polarization-singular structure in laser images of phase-inhomogeneous layers to diagnose and classify their optical properties," Semicond. Physics, Quantum Electronics&Optoelectronics, vol. 13(3), 248-258, 2010. V. T. Bachinsky, Yu. O. Ushenko, Yu. Ya. Tomka, O. V. Dubolazov, V. O. Balanets'ka, A. V. Karachevtsev, "Wavelet analysis for polarization maps of networks formed by liquid biological crystals in blood plasma: statistical and fractal approaches," Semicond. Physics, Quantum Electronics&Optoelectronics, vol. 13(3), 189-201, 2010. 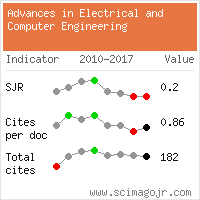 Citations for references updated on 2019-04-16 23:06 in 195 seconds.